This January, I.B. 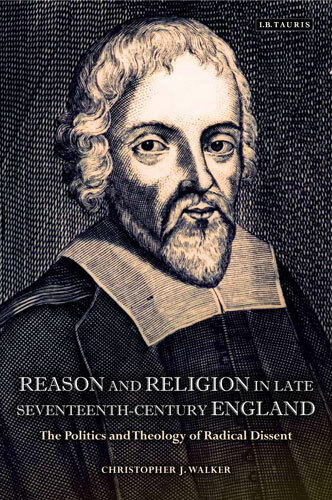 Tauris will publish Reason and Religion in Late Seventeenth-Century England: The Politics and Theology of Radical Dissent (2013) by historian Christopher J. Walker. The publisher’s description follows. Reason has always held an uncertain position within Christianity. “I believe because it is absurd’,” wrote Tertullian in the third century as he dismissed rational thought. For Augustine of Hippo, reason had some merit as a route to faith but otherwise was of limited value, since it could undermine a person’s ability to approach God: “the wisdom of the creature,” he opined, “is a kind of twilight.” In seventeenth-century England, reason had come to mean, most usually, a spirit of free enquiry: the exercise of human intelligence upon some form of truth, whether religious or scientific. The notion of revelation, by contrast, indicated the wider accepted divine scheme within which human existence was situated. Christopher J Walker here explores the tensions between the forces of reason and revelation within English religion in the volatile period following the end of the Civil War. Ranging widely across the ideas of The Great Tew Circle, the Cambridge Platonists and dissenters like Paul Best and John Bidle (the “father of English Unitarianism”), the author shows, controversially, that the rational thinking and politics of many of the most supposedly radical figures of the era were not antipathetic to Christian faith but actually integral to it. His book makes an important contribution to the history of both religion and ideas.